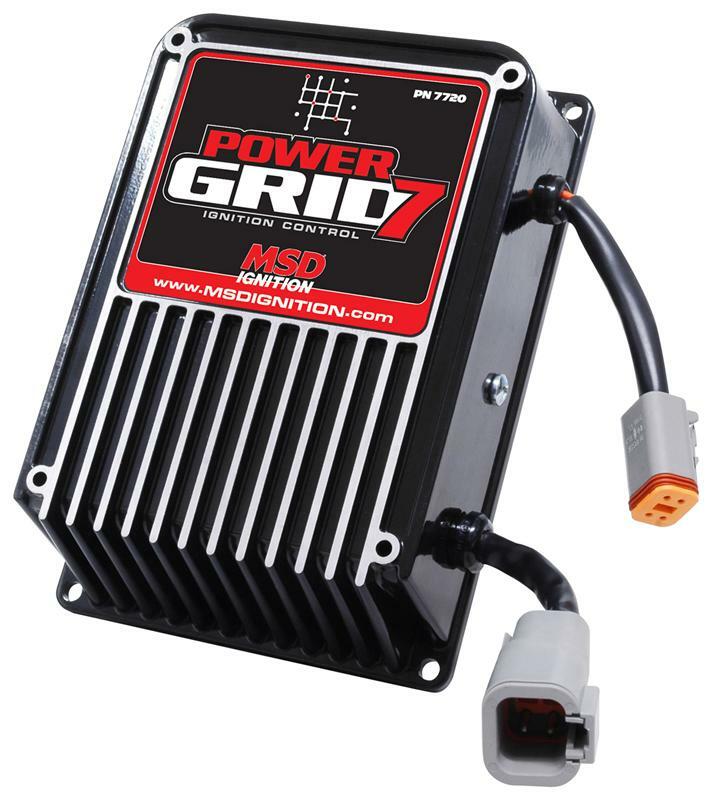 7761 - MSD Power Grid - Dezod Motorsports Inc - Home of the automotive performance enthusiast since 2002. MSD set the standard in programmable ignition systems. In fact, every NHRA Pro Stock championship in the last few years has been with an MSD Programmable 7. Drag radial, twin turbo outlaw cars and 10.5-tire classes all rely on the advanced programming of MSD’s Programmable 7 Ignitions. Wait until they see the Power Grid. called MSD View, and is USB compatible. The Windows based software is designed with tabs to help racers easily select different programming windows and parameters. Also, the data acquisition files of the ignition are now captured on a micro SD card for ease of storage and reviewing. The Power Grid Ignition incorporates CAN-Bus technology which reduces the amount of wiring and simplifies the addition of accessory modules. The CAN-Bus is a common harness that accessory controls are connected to and easily brought into the programming library of the View Software. With this technology, racers can connect the Power Grid system directly into their Racepak Data Recorder and other Racepak products. 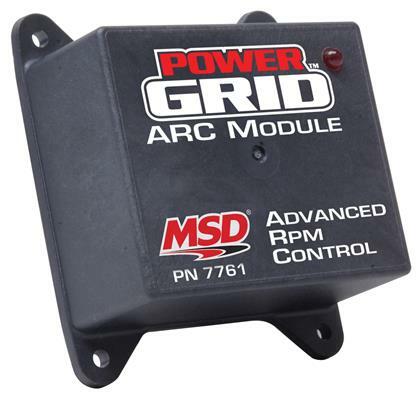 The Power Grid Controller is the brains behind the entire system and can be used with any MSD Ignition or the Pro Mag to provide advance ignition tuning capabilities. While it is compatible with all MSD boxes, the new Power Grid System Controller has been specially designed to mount to the Power Grid-7 box. Also, this new Ignition packs higher output than the current programmable units! The Power Grid Controller is supplied with the View Software, wiring harness, micro-SD card and mounting hardware. The ignition, available separately, is supplied with the harness and mounting hardware.